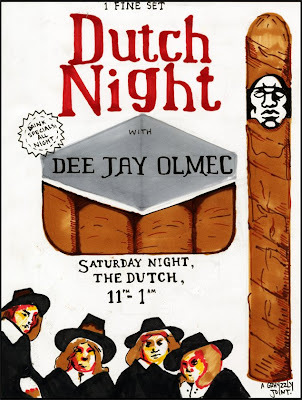 DJ Olmec will be doing his first public show since DayGlo/Toga tomorrow night at the Dutch. He will be spinning from 11pm-1am. dude, it has grhyzzly's signature on it. you also need an id to get into the dutch.